The one-time boomtown is a peaceful historic district where you can buy oysters fresh from the bay. Then light the grill and savor the flavor of the sea. OYSTERVILLE, Long Beach Peninsula — Usually, razor clams get all the press. Last spring’s razor clam-digging opening on this 28-mile-long peninsula’s ocean beach was a big deal because state fisheries honchos temporarily upped the daily limit after a long closure assured a good harvest. Fanatical diggers descended in droves. But cross the 1¾-mile-wide peninsula to where the Pacific surf doesn’t pound and you’re in the land of the oyster. No digging required. 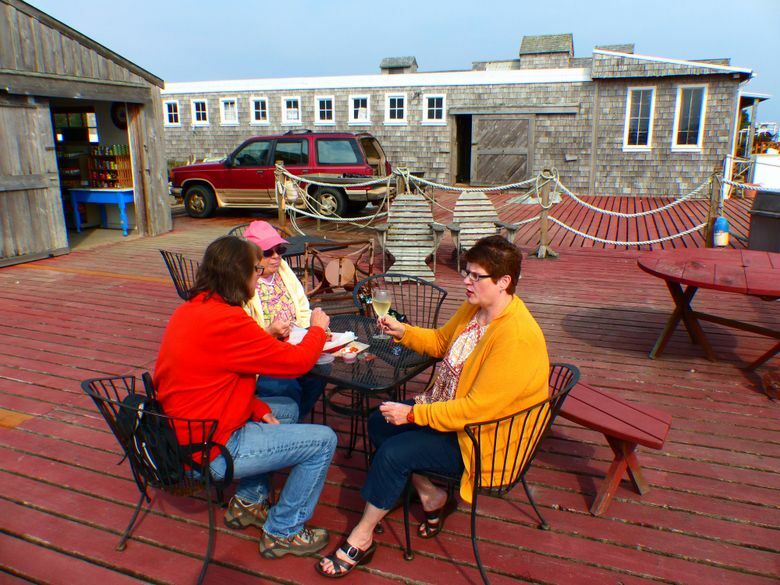 • Not only can you buy oysters to take back to your beach rental or campsite, Oysterville Sea Farms, on the Oysterville waterfront, has a deck with tables where you can enjoy seafood and a glass of wine when the weather is pleasant. Retail sales 9:30 a.m.-5 p.m. Friday-Sunday (offseason hours); check Facebook page for occasional special openings, or call 360-665-6585. More details at willabay.com. 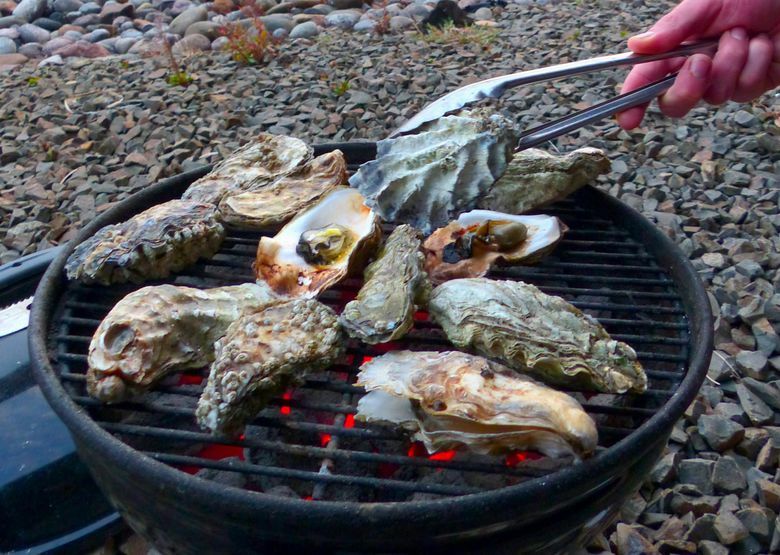 • On the east side of Willapa Bay, stop in at The Oystery at Goose Point Oysters, where they provide grills (charcoal, too) for you to barbecue oysters on a deck with umbrella tables overlooking the Niawiakum River. 9 a.m.-5 p.m. daily, September-April; till 6 p.m. in summer; 7081 Niawiakum St., Highway 101, Bay Center; goosepoint.com. • The Oysterville School fall lecture series theme is “Celebrate the River,” with free hourlong talks by local people with special experiences relating to the Columbia River; 10 a.m. Thursdays, Oct. 19 and Nov. 2 and 16. Get more information about Oysterville’s historic-preservation efforts and print out a map and self-guided walking tour of the village at the Oysterville Restoration Foundation website: oysterville.org/visit-oysterville. 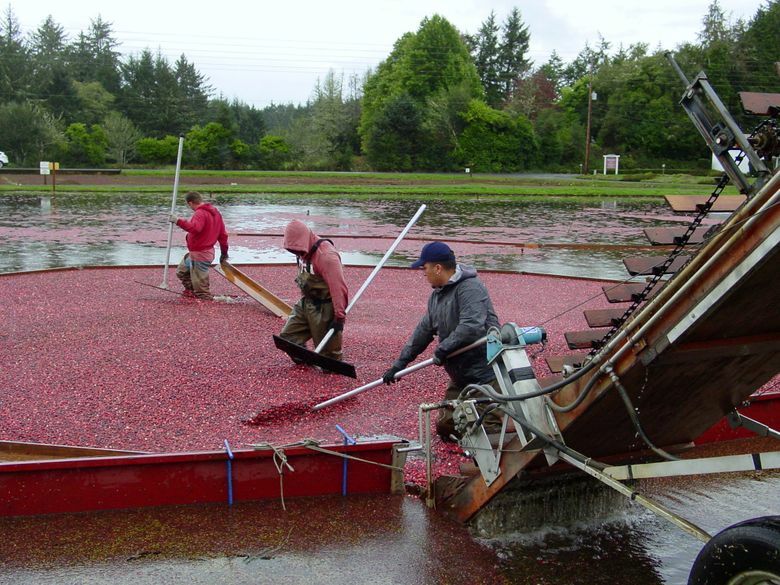 • Cranberrian Fair, celebrating the local cranberry-growing industry, Oct. 14-15 (see related story). • Wild Mushroom Celebration, the month of October and continuing through Nov. 15, features chef specials at local restaurants and other events highlighting fall fungi; wildmushroomcelebration.com . • Water Music Festival brings swing music to Ilwaco Oct. 13 and classical chamber music to Leadbetter Farms Lighthouse Oct. 14 and 15; watermusicfestival.com. Stop at Long Beach Peninsula Visitors Bureau, 3914 Pacific Way, Seaview, or see funbeach.com. It’s a much quieter kind of delicious. Here, foggy mists hang like lace curtains over sprawling Willapa Bay, where the palette is all soft greens, dusty blues and sea-grass tan. After you’ve had your fun beach-town fill of Long Beach’s go-karts, arcade games, flashy kites and Jake the Alligator Man (the star attraction of Marsh’s Free Museum), and grumped about whatever new development has caught your eye (because the beach towns of your childhood aren’t supposed to change), it’s time to head 15 miles north and visit the quiet village of Oysterville. Aah. Even the old-school name of the place is kind of soothing. Near the far end of the peninsula, time seems to have paused as if the community was clamped away in its own shell. The whole 80-acre village is a national historic district, with development limits and design standards overseen by the National Park Service. Meaning: Nothing changes much. Founded in 1854, in its heyday Oysterville was a little boomtown, and the county seat. In those days, Willapa Bay shipped boatloads of oysters to San Francisco to feed the increasingly sophisticated tastes of gold-rush-rich Californians. Now, Oysterville is just a quiet, mostly residential community, a perfect place to be a hermit. Beyond the old houses the 25-mile-long bay is now America’s largest producer of farmed oysters. On your way here, drive snaking Highway 101 along the bay’s eastern shore and you’ll cross bridge after bridge over rivers and sloughs that bring nutrients oysters feed on. At river mouths, prairie-like salt marshes bristle with reeds, capturing erosion-caused silt that might choke the bivalves. 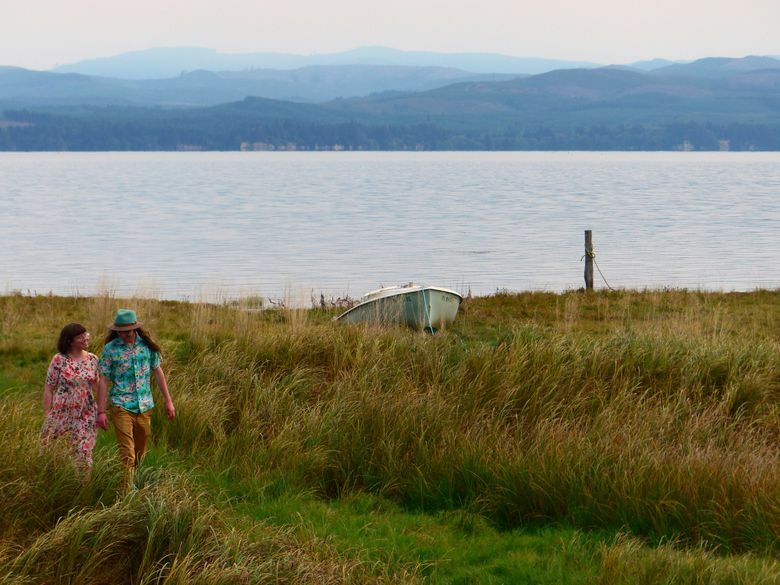 With a largely undeveloped shore, Willapa Bay has all the makings of an oyster’s Shangri-La. Stroll the village. 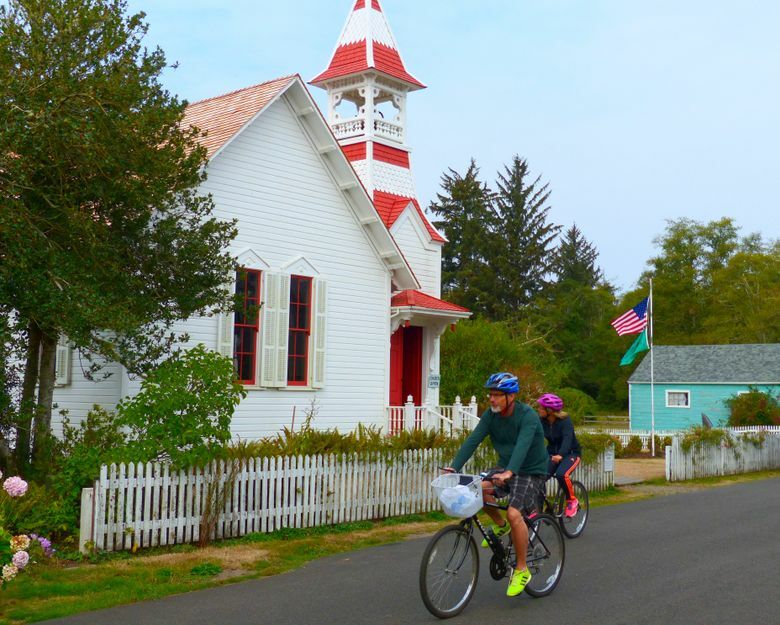 Step into Oysterville’s simple old church, where heat comes from a potbelly stove and the lighting is all by oil lamp. (Befitting a community by the sea, on our visit a Bible on the lectern had been left open to the Book of Jonah.) 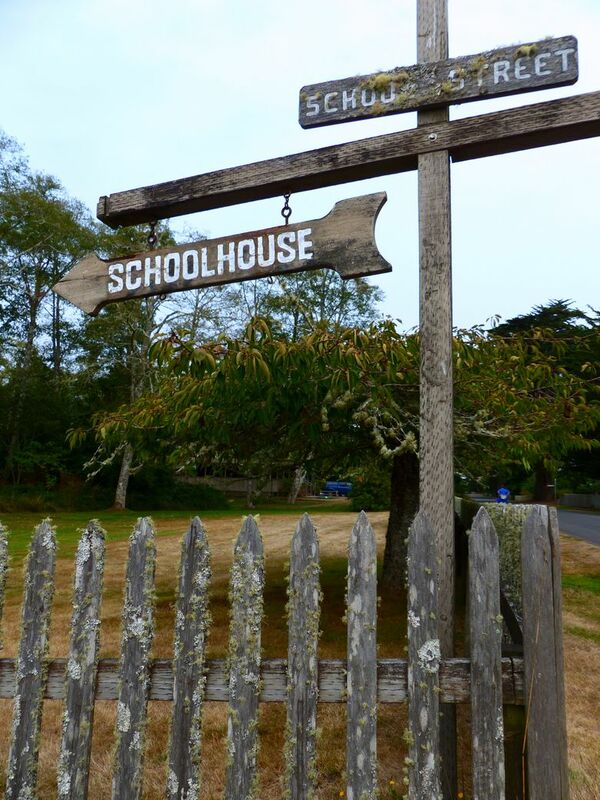 Peek through windows into the schoolhouse, which these days hosts a summertime science academy for local kids and a public lecture series (recently on the schedule: a chief of the Coast Guard motor lifeboat school at Cape Disappointment). Then it’s time to get oysters for dinner. Long Beach Peninsula's annual Cranberrian Fair celebrates another taste sensation in October. Follow the road to the bay and you’ll find the former oyster cannery, which claims to be the only one of its kind on the National Historic Register. Today the weathered dockside buildings are home to Oysterville Sea Farms, which markets products under its “Willabay” trade name. A retail shop in a rustic waterfront shed sells oysters shucked or in the shell, along with clams, crab and shrimp. You can buy oysters or shrimp cocktail ready to eat with a glass of wine on a deck overlooking the bay. But my mission was to procure oysters in the shell for my first-ever experiment with roasting oysters on a charcoal grill. On the way to the beach, I’d already picked up a dozen medium-sized beauties across the bay at Goose Point Oysters, on the west side of 101 just north of the Niawiakum River, near Bay Center. This time I chose a dozen small oysters for comparison. In-shell oysters of any size were $7 a dozen here, or three dozen for $20 if you want a real feast. A sign promised they were harvested that day. Being new at barbecuing them in the shell, I asked for guidance. He suggested putting them directly on the grill, waiting for the shells to gap open slightly on their own, then prying them open with a butter knife. What kind of recipe might he suggest? “Garlic, butter and a fork,” Gibbs said with a smile. I paid for the oysters and a $20 bottle of Willabay Oyster Blanc white wine, developed by Oysterville Sea Farms and produced for them by Mount Baker Vineyards. A watercolor image of the oyster shed decorates the label. Back at our beach rental at the north end of Long Beach’s Discovery Trail, I watched in suspense as the first batch smoked and sizzled on the rental’s Smoky Joe grill. Would they open? Gradually, one by one, they began to gap open, and I went to work prying the shells. I daubed the oysters with minced garlic, substituted a few drops of olive oil for the suggested butter and let them bubble a bit longer before serving with a choice of red cocktail sauce from the Goose Point Oystery or my wife’s homemade tartar sauce (mayonnaise, dill pickle relish, finely minced onion, and paprika). Or we just ate them off the shell and savored the taste of sea, salt and smoke, washed down with a sip of Oyster Blanc. To finish off? 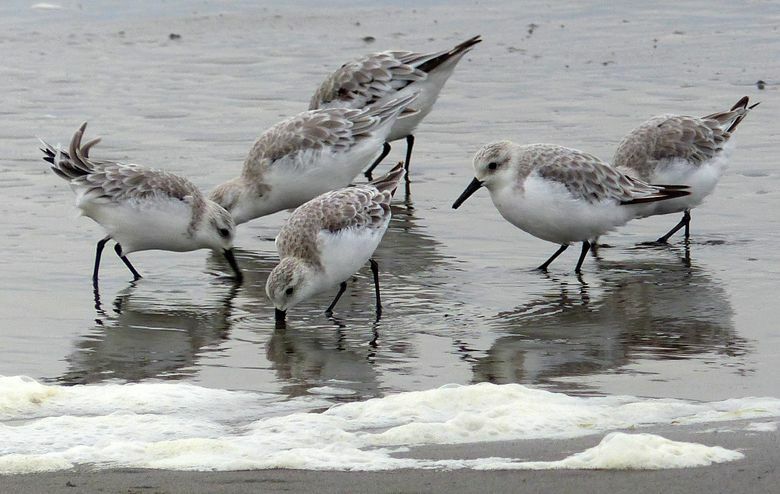 A quiet walk through grassy dunes to dip toes in the surf among scampering sandpipers. I rarely say no to Dodgem cars, but this was a really good day at the beach.